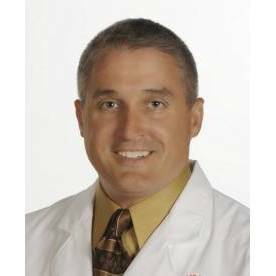 David G. Gardner, DPM is an accomplished podiatrist in Monroe, Louisiana. Dr. Gardner specializes in treating a variety of foot injuries, including sports-related injuries, geriatric foot conditions, and diabetic foot conditions. Patients appreciate Dr. Gardner's genuine care and concern. As a leading podiatrist in Monroe, Dr. Gardner is committed to meeting each patient's needs on an individual basis. His practice helps patients get long-term relief from their foot pain by emphasizing continuity of care and comprehensive treatment. Specialties Include Bunions Hammertoes Flatfoot Achilles tendonitis Toenail fungus Ingrown toenails Heel pain Neuromas Corns, calluses, warts Deformities Geriatric conditions Diabetic foot conditions Sport injuries of the lower leg and foot Training and Experience Doctor of Podiatric Medicine at Ohio College of Podiatric Medicine Podiatric Surgical Residency at Kaiser Permanente Medical Center Schedule an Appointment With a Podiatrist in Monroe Dr. Gardner practices podiatric medicine in Monroe at Glenwood Foot and Ankle, centrally located to meet his patient's needs. Call (318) 322-5506 to schedule an appointment or refer a patient to Dr. Gardner in Monroe. Treating patients in Monroe, West Monroe, LA, and throughout the region.